I would like to do this project because this is something that I think I could benefit from because it would prevent my headphones from tangling like they usually do. It takes a considerable amount of time to untangle my headphones when I take them out of my bookbag, but with an earphone holder that is portable, I won’t have that problem. Also, since I would put adhesive on the back to make it stick to the back of my phone, I could simply unwrap my headphones from the back of my phone whenever i need to instead of having to fish for them in my bookbag. I use my headphones a lot, so this would be very useful to me. 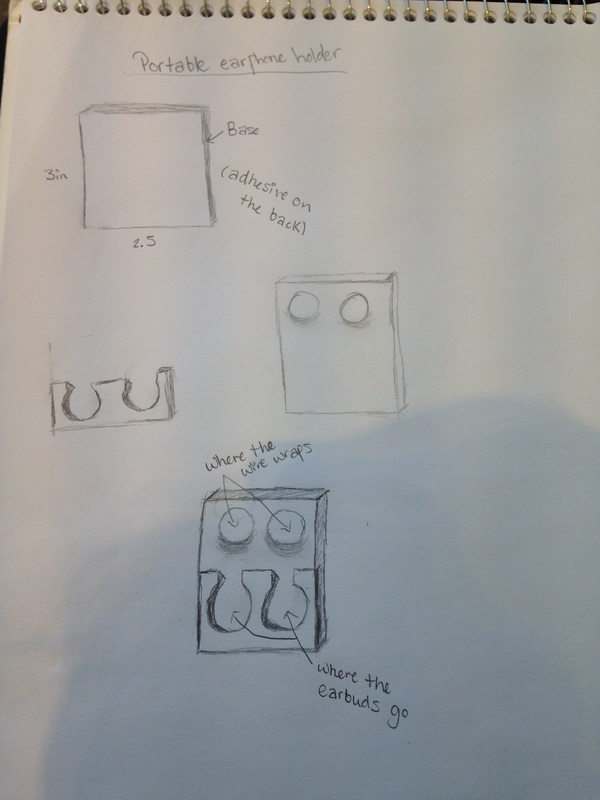 Today I worked on my design for my portable earphone holder. I based it off of the project I found on the instructables website. I measured my earphones to see how big the compartment would have to be wear the earbuds would go. 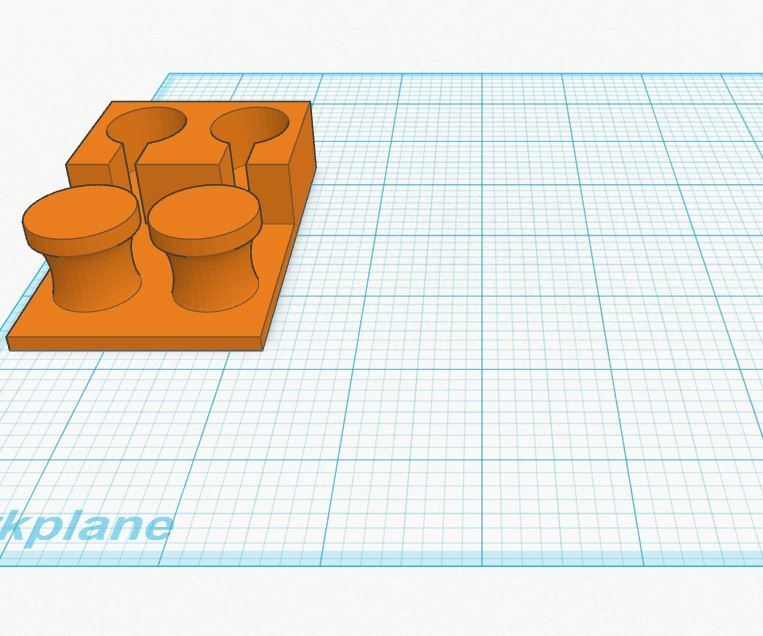 Now all I really need to do is double check my measurements and then I can print out my project. Today I didn’t really work on my project, but I got to go to the wood shop and learn about how all of the different tools there work in case I ever need to use them. I also got to show some of the people from the ISEEN conference the work I did last semester on my clock as well as the earphone holder project I am working on now. It was nice to see that people were genuinely interested in what I’m doing and helped boost my confidence a little in my engineering abilities since this is my first time taking a class like this. 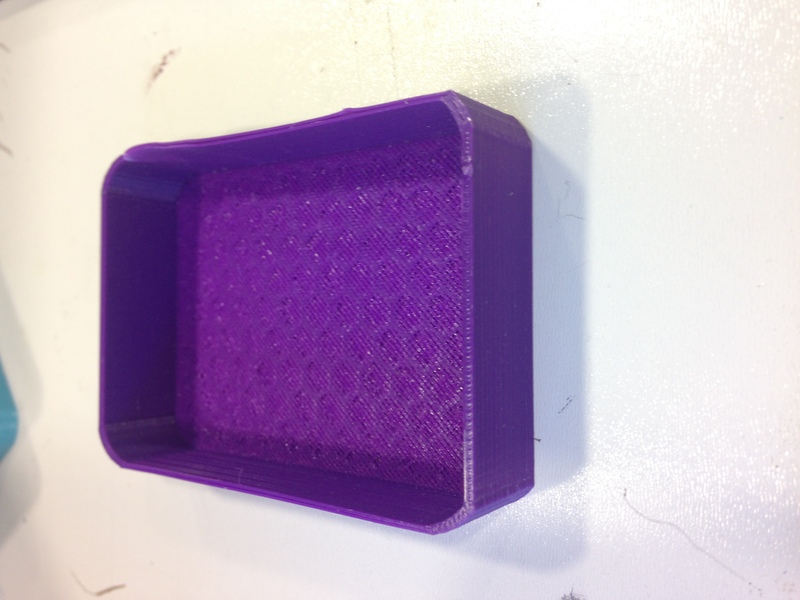 Today, I printed out my first prototype for my earphone holder. I realized there are a few problems with it after it printed. My earbuds won’t fit in the ear bud holds, so my measurements were apparently off. Also the the cylinders where the wire would wrap around are not tall enough for the wire to wrap all the way, and since the printer was printing on air for part of the print, there is some dripping. 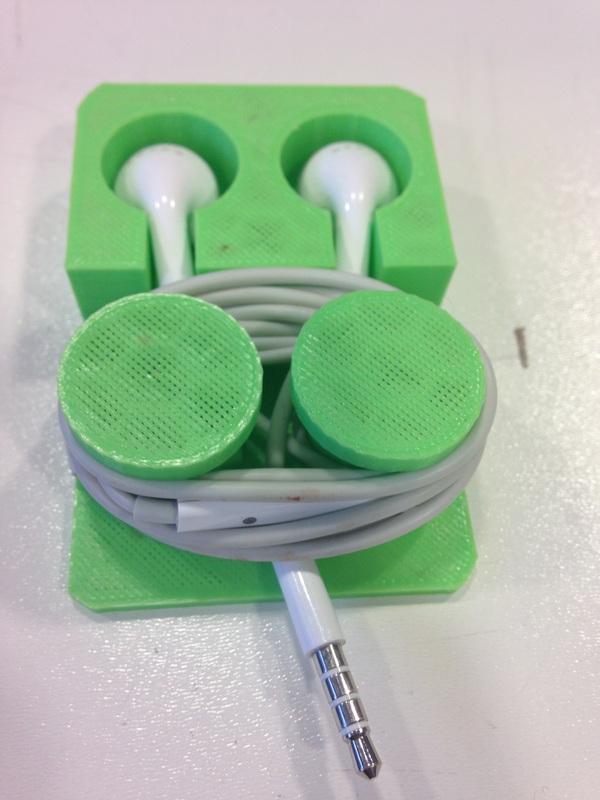 Today I worked on redesigning my earphone holder. I tapered the edges of the original cylinder where the wires would wrap around so that they curve in. That way, when I print my next prototype, the material won’t droop. I also made it a little taller so my headphones wrap around better. I made the earphone holder part bigger as well because it was too small at first. 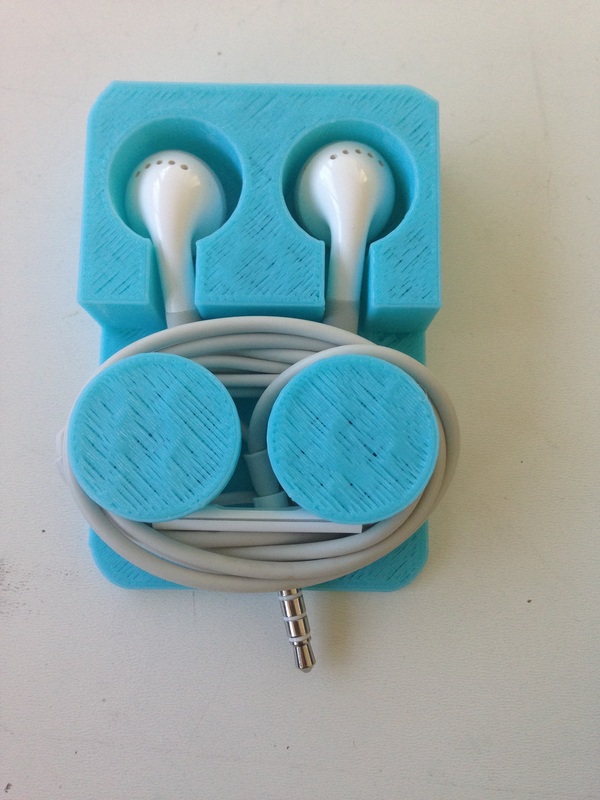 Today, I made printed out a revised prototype of my earphone holder. This one works very well. The ear buds fit in the holes, and the wire has enough room to wrap around. For my next(hopefully final) prototype, the only change I want to make is making the edges round and maybe shortening the earphone holder part a bit. 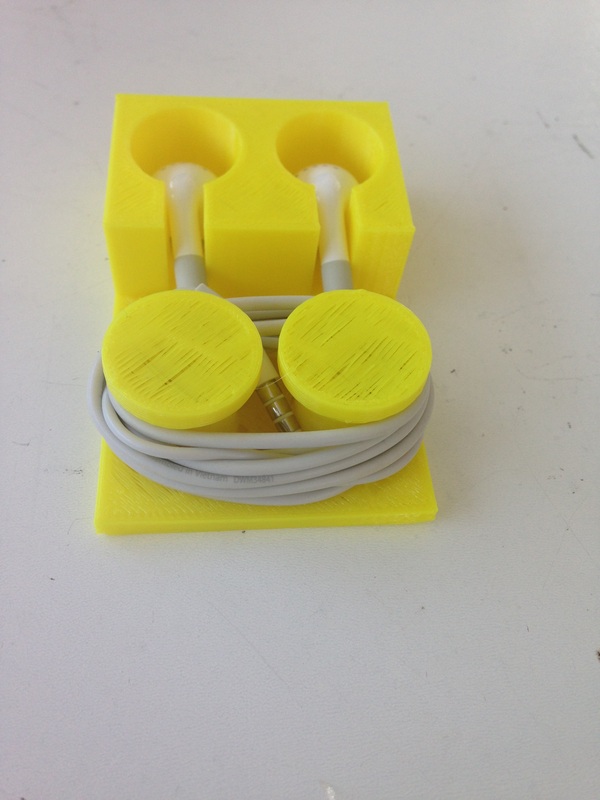 This is my third prototype of my earphone holder design. It is a little smaller than the 2nd one and the earbud holes are smaller and shorter to fit the earbuds more. I also rounded the corners more rounded so the edges won’t be as sharp. From here, I think I am ready to print my final version without making any changes. I want it to be blue. 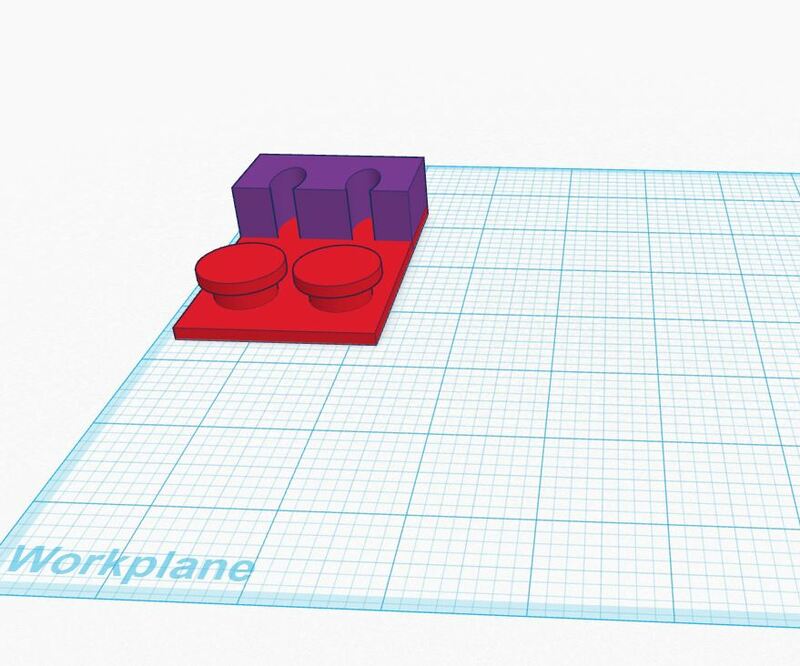 I am also working on designing a case for the earphone holder on tinker cad. This is my final version of my earphone holder. The corners have been round more evenly and is a little smaller because of that. I ‘m going to start working on a case for it. This is a prototype of my case for my earphone holder. 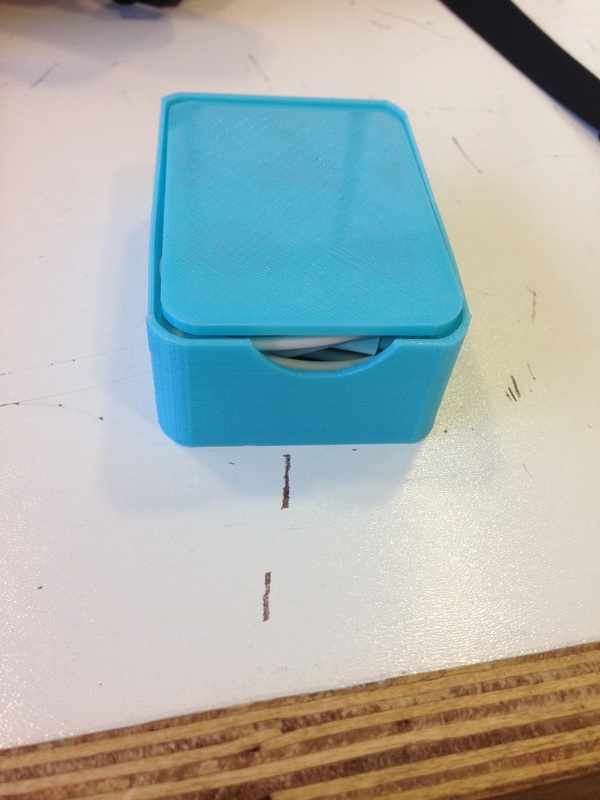 Unfortunately for some reason the print did not finish so they case does not fit right. 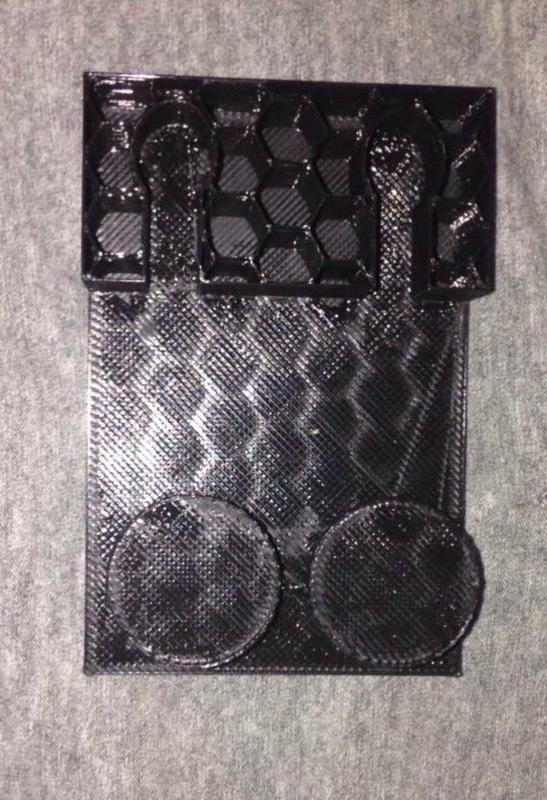 However, I did find out that if the print had finished my case would have fit. This is the newest version of my case for my earphone holder. It ended up being a little too deep on the inside, so right now I have layers of cardboard that make the earphone holder level with the case and I also have a la small sticky piece of foam on the inside that keeps the earphone holder from falling out. I am satisfied overall with how it turned out, so this will be my final version.